Brick Lane is one of the trendiest roads in London and The Big Chill can be found in this buzzing spot. 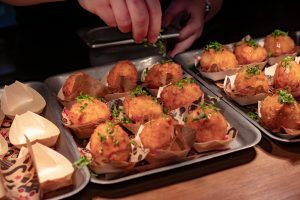 Newly refurbished the trendy hotspot boasted Neon Signs and tasty food. 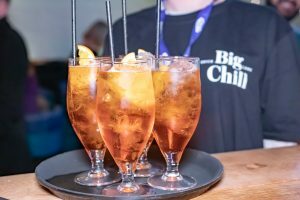 The drinks were in full force and the DJ was playing amazing music as we arrived at the launch. 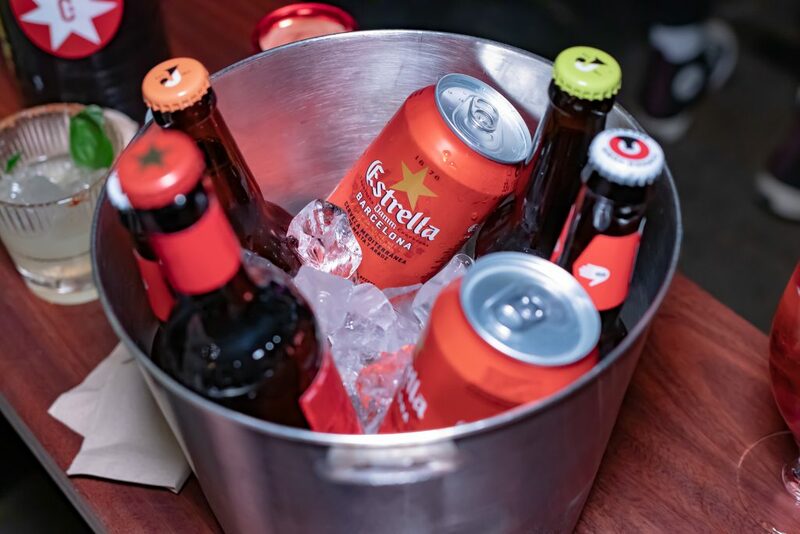 We were greeted by the door staff and invited inside a modern bar with a vibrant atmosphere. There were cocktails galore which included Pimp My Espresso (Cazcabel Coffee Tequila, Absolut Vanilia Vodka, Salted Caramel and Espresso), Rumy Honey (Wray & Nephew, Cazcabel Honey Tequila, Icely Done Spiced Clementine, Ginger Beer and Lime) and Chill ‘n’ Fizz (Absolut Raspberri Vodka, Prosecco, Lemon and Rasberry Jam). These were only a few of the cocktails available on the evening. Not to mention the endless bottles of beers scattered on the tables. With every person enjoying the cocktails I headed to the kitchen to see the mini platters of food. 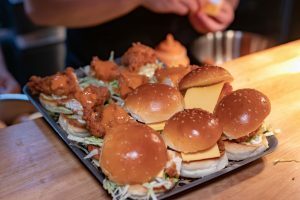 Prepared by Chuck Burgers, I watched as the chefs made mini plates of delicious food. From the delicious Mac ‘n’ cheese Balls to Cheesy Loaded fries there were various options. The ones that seemed to go the quickest however, were the mini Buttermilk chicken burgers. Everyone was milling around the kitchen area waiting to get a taste of the food. There were a lot of food selfies as well, which we took as well. At 9pm the kitchen closed but that was just the start of the evening. As this is when the music became the highlight. With a DJ that kept the tunes coming which included new school and old school. I spent the evening singing and dancing away to afrobeats, r’n’b and old school garage. It was definitely worthy of the instagrammable decals on the wall ‘If these walls could talk’. There would definitely have been talk of everyone dancing and the friendly atmosphere. 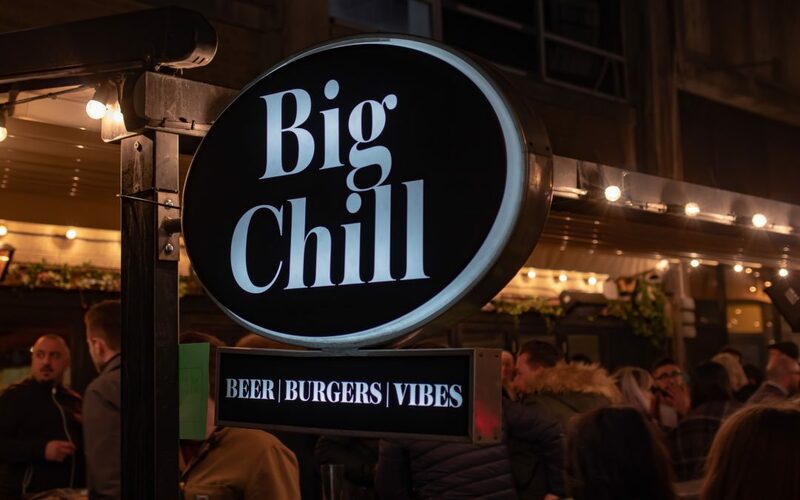 With Big Chill’s DJ nights being revived Thursday through to Friday the Big Chill is not to be missed. Add the two for one on Wine and Beer, Monday to Friday at 4pm and 6pm. We predict this bar is going to become perfect for after work drinks. We especially recommend it for a date night on a Thursday or Friday. You can enjoy good company, great food from Chuck Burger and amazing cocktails. 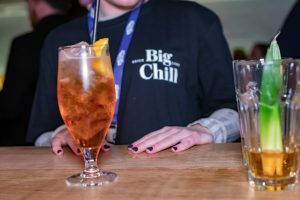 Go and have a great time at the Big Chill at let us know what your favourite cocktail is?